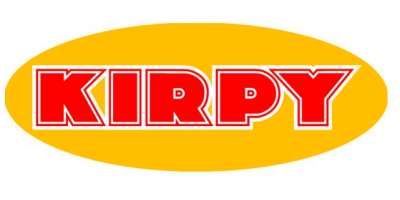 KIRPY manufactures agricultural machinery. It sells its products in France and abroad, including soil preparation equipment (Heavy-duty Cultivators, Chisels...) and specialised equipment for dealing with all problems associated with stones (crushers, aligners, pickers.). Founded in 1912 by Monsieur Garric, KIRPY has forged its reputation in the world of agriculture through the quality of its ploughs, especially in the wine-growing sector with the vine stripping `décavailloneur` plough. In 1986 the company was bought out by François Lenoir who, while continuing to manufacture traditional products, set out to diversify the business into a new area of development: harvesting machinery. In 1995 KIRPY launched a tobacco stalk harvester capable of cutting, notching and directly loading the tobacco stems. Over 300 machines sold each year worldwide. Currently over 800 machines are in service. Today KIRPY is pleased to complete its harvesting range with an 'RGA' complete asparagus harvester. The takeover of Grenier Franco enables the company to develop its activities in the wine-growing and forestry sectors, notably with the new range of BECKER machinery. Proud of its reputation, KIRPY promotes its image via the quality and reliability of its products.